Did I ever tell you about the time myself and my family went on a quest to face off against the Dark Lord Nicholas Cage, who stole the faces of everyone in the land? Did I tell you about the time I met up with the Mayor of Greenhorne, Captain Falcon, who asked me to save the people of his land? Perhaps I can tell you the tale of the time I met up with the King, whose disciples Vegeta and Snoop Dogg gave me information that was vital to helping Eiji Aonuma win the love of Princess Bayonetta, who was to be wed with Reggie Fils-Aime? No? 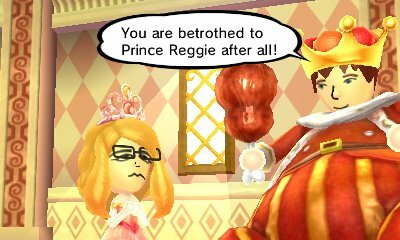 Miitopia, recently released on the 3DS, is filled with crazy stories such as these, and is truly an enjoyable experience. 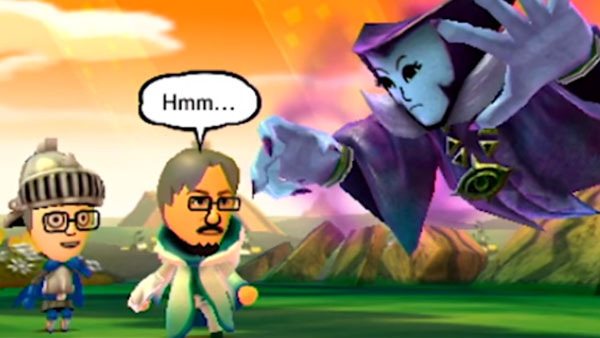 From what appears to be Nintendo’s love letter to the Miis that have inhabited many of their games and systems one way or another since the Wii released in 2006, Miitopia truly feels like these lovable custom characters have been given an appropriate swan song before the Nintendo Switch hits its full stride and the Mii brand, as far as we can tell, is retired. My relationship with my Miis have gone through its highs and lows, from creating countless Miis for the unforgettable Wii Sports, to dabbling in Mii experimentation with the Check Mii Out Channel, to playing with and soon forgetting them completely in Wii Party, I grew an attachment to many of my Miis and I often felt that Miitopia had finally given them the final piece of their missing potential. 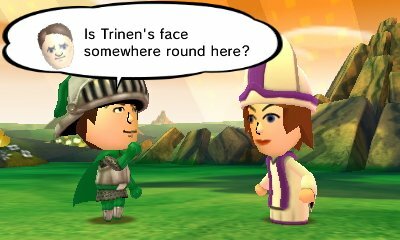 Miitopia can best be described as taking some of the action of Streetpass Quest, mixing it with Tomodachi Life, and giving it an RPG flavour. Tomodachi Life itself feels like Nintendo dabbled its toes to see how successful they could be in expanding the Mii universe before going ahead with Miitopia, and they have succeeded in producing something more engaging than it probably had any right to be. Miitopia stars, well, whatever Mii you choose. This Mii is soon thrust into an adventure by a benevolent being, having to defeat the player’s chosen Dark Lord, who has stolen the faces of all the Miis in the land and given them to his loyal monsters. The main Mii is given a party of three more Miis as the story goes on, and the group goes off on an adventure, visiting towns, battling enemies, finding treasure and meeting many random Mii NPCs along the way. Every Mii in the game is completely customisable by the player as well. If, for instance, I decide I don’t want Donald Trump to be the Dark Lord (though it’s fitting), I can freely choose to make the Dark Lord’s character represented by John Cena, Shigeru Miyamoto, PewDiePie. As long as I’ve either made the character myself, or can find it in the in-built Mii search engine, that character can be in the game. This level of customisation gave me an attachment to video game characters I have only felt rarely. Nicholas Cage ripped the face off of a Mii I created way back in 2006, I actually felt a sense of vengeance for my fallen Mii. When I found his face on a piece of slime, you bet I felt the need to crush it and save my buddy. The Miis that form the main party gain more customisation than the NPCs. 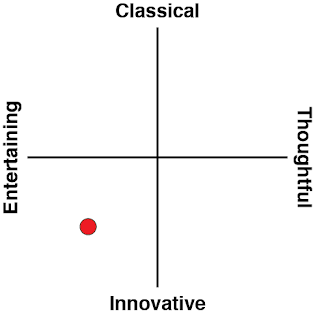 Each party member has a personality trait that affects what happens later in the game. My laid-back Mii was digging for treasure at one point, but due to the fact that he was so laid-back, he gave up quickly and I got no treasure as a result. His laid-back nature came into play later on in the game, when an enemy tried to make him cry but he just didn’t give a toss. Not only do the Miis have their own personalities, they have their own favourite foods as well, the more they like a food, the more that food will build their stats and make them stronger in the long run. The Miis will form relationships with each other too which effect how they handle themselves in battle as a team. 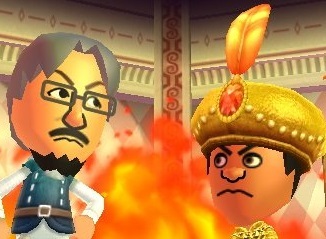 The RPG aspect of team building is definitely affected by the relationships felt by the Miis. My Mii felt a close bond with another Mii, this led to the two of them attacking enemies together, calling to each other before an attack so the other could dodge, healing each other and so on. The Miis will sometimes get into arguments too, and these can have negative effects on battles as well, Miis purposefully distract a team member to ensure they get hit by an enemy just because they had an argument at the last Inn. The battles feel very dynamic, and no battle really pans out the same way as a result. As well as personalities, the Miis also get a job each. These include your standards like “warrior” and “cleric”, but also include interesting jobs like “pop star”, “cat” and “scientist”. Each job has its own unique roles in battle, and also effect the stats of each Mii and how they play out in battle. The battles can be done automatically, and for every battle I tried automatically, the Miis were handled by the CPU very well. The cleric never healed anyone when they didn’t need it, and special moves were only used sparingly to save on MP. The whole game can probably be played with automatic battling turned on, as my Miis were able to dispatch a few of the bosses with greater ease than if I tried it myself. It definitely makes the battling system feel genuinely unique, for even in automatic battling, there is a level of organisation that needs to be addressed. Crying Miis in battle need to be moved to a “safe spot” in order to calm down, and without a cleric, the player may need to utilise “HP sprinkles”, a salt shaker given by a benevolent being to help Miis keep their health in check if they are running low. Without keeping an eye on the proceedings, the Miis may have no chance of success (though the game is rather easy, unfortunately, so intervention rarely needs to occur). 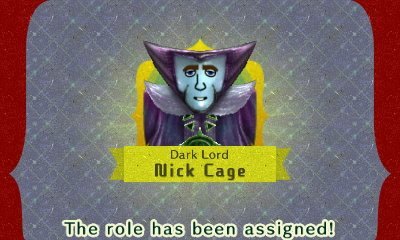 One aspect of Miitopia I truly enjoyed was customising the appearance of my party. After equipping my Miis with the bulkiest armour and the most destructive weapons, I found the option to change their hats and outfits without the loss of attack and defence bonuses. This was especially great for the amiibo costume unlocks, as the amiibo costumes have no bonuses to them whatsoever. Equipping the best armour, and then changing them into other wacky outfits proved to be cuteness overload, and great for those like me that love to dress up their characters in games. Miitopia may have been released towards what is surely the end of the 3DS’ lifespan, but thankfully it gives the handheld some legs to keep it going for a little bit longer. It’s a surprisingly deep RPG experience that is as dynamic as it is customisable. The cast is completely up to the player, making it a unique experience for each and every person who plays it. 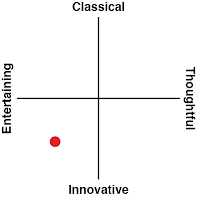 The narrative is on the light-side, but that makes it perfect for short bursts at a time. By the time I came to the end of Miitopia, I found it slightly emotional to say goodbye to my companions of more than a decade, but it was truly worth the ride.